Electronics Costs > How Much Does a Minecraft Server Cost? How Much Does a Minecraft Server Cost? If you want to play Minecraft online with your friends, you will more than likely need a server to do so. While it is possible to play for free, these free servers often tend to be unreliable or have limited features and restrictions, which, unfortunately, can cause a lot of frustration during what should be a fun and relaxing game. The great thing about a renting a Minecraft server is that you’re able to make the rules and add features as you wish while adding a stress and lag free environment. Hosting a Minecraft server will cost you anywhere from $5 to $100 every month, and the costs will greatly depend on the number of players that you want to join the server, the plugins/mods you install and the company you use. A four-person server, for example, could cost $7 per month, while a 16-player server could cost upwards of $20 per month. If you want to host unlimited players, it could cost upwards of $100+ per month, depending on the amount of memory you need. As a general rule, be prepared to budget $5 to $10 per gigabyte of memory required. According to MMOMeltingPot.com, they claim that you should be prepared to spend $7 a month for a four-person server and around $18 per month for a 16-person server. MCProHosting, LLC, the world’s leading game server hosting provider, offers Minecraft server plans, ranging from the 256 MB Air Plan for $2.49 per month to as much as $59.99 for the 6144 MB Dragon Plan, designed for unlimited players. On this Reddit.com thread, they discussed the costs of running a Minecraft server, and according to most, they said the costs could greatly vary from $20 to more than $1,000 per month for a server that’s able to support 50 players. With a decent host, however, a few said it’s best to budget $40 to $100 per month for a reliable 50 player server. Some hosting companies, if they offer an add-on pack, may charge a one-time fee in order to set it up. These fees often range from as little as $10 to more than $50, depending on the complexity of the modpack. MCProHosting, the company we referenced earlier, for example, offers a few modpacks for $15 to $35. One modpack, in particular — the extreme create-a-modpack — for instance, designs up to 150 mods and the hosting company will install it for $35. Installing customized plugins of your choice can be a small one-time charge as well. There are plenty of Minecraft servers that you can join for free; however, when joining another server, there are a lot of disadvantages. For starters, the server will not be under your control. With that being said, the admin can boot you or even ask for donations to allow you to play. Secondly, if you built something that you enjoyed and that particular server disappeared, your hard work could be gone. Lastly, a public server is just that — public. This allows strangers to come in and harass, smash your stuff and/or annoy you while playing. 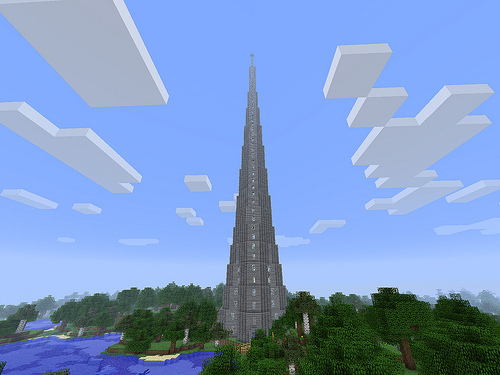 Running your own server will allow you to control things like this and to only invite certain people to play. A good server company, when you choose one, should have hundreds, if not thousands of addon options you can add to your server when activated. Before signing up, see what your options are and if they meet your expectations. Most hosting companies offer yearly discounts if you pay upfront for the year. If you’re hosting fewer than four players, then you may want to try hosting the game from your personal computer first to see if it works. In most cases, as long as you have a strong connection, you shouldn’t experience much lag. This Minecraft Wiki explains how a server can be set up. You can get affordable Minecraft server hosting at apexminecrafthosting.com for under $6/GB RAM.